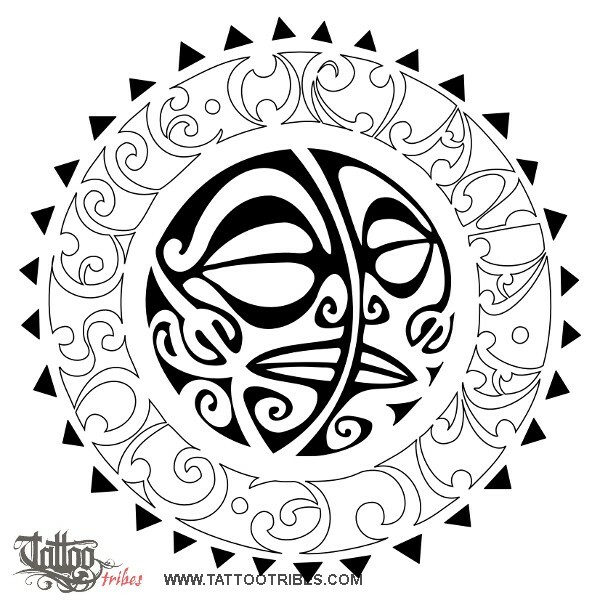 This design represents a sun with joined sun and moon on the inside, symbolizing balance and the union of opposites, impossible that becomes possible. The edges of the rays are made of shark teeth (adaptability and strength) while the circle of rays is made by a maorigram showing the names of the family members of Gian Luigi, who requested this design: Oriana, Alice and Giuseppe. 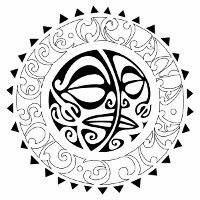 The tiki shaped by the two halves is a symbol of protection, and we inserted some stylized waves (change and voyage) and ipu (fertility and abundance). The chin of the tiki composes a mangopare motif (hammerhead), indicating tenacity and determination. The dots between the names represent his fixed points, and each one of them corresponds to a family member.